Set on the grounds of a former landscaper’s nursery Edgemont offers a unique and beautiful setting. 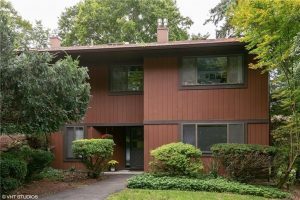 This Mountain Laurel 2 bedroom, single level unit features a spacious living room/dining room combination with fireplace and access to a private patio. There is a generously sized eat-in kitchen, nicely proportioned guest bedroom and a master bedroom with private bath and walk-in closet. The complex offers clubhouse facilities with meeting room, kitchen, small gym and in-door pool. There is an out-door pool, tennis court, putting green and playground area. 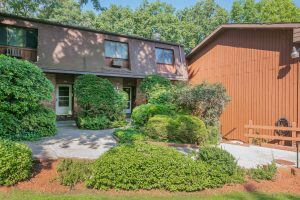 Close to the Tarrytown Lakes, village and downtown shops and restaurants. Easy 38 minute express commute to NYC. Also available for rent, $2,500/Month. Listed by Jody Toth. 914-332-6300. 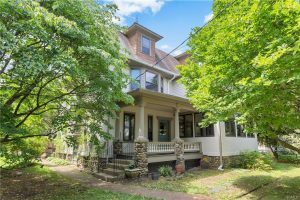 Amazing opportunity to rent this unique 6+ bedroom, 4 bath home in the heart of Dobbs Ferry. Private setting, surrounded by gardens this home will delight youl Enter into a lovely foyer with wood burning fireplace, half bath and roomy coat closet. There is a large kitchen, formal dining room, spacious living room with wood burning fireplace. A sunroom with windows on three sides is adjacent to the living room. First floor laundry and access to the backyard gardens and deck make for easy living. The second floor has 4 bedrooms, en suite bathroom, and a full hall bath. Third floor has full hall bath and 4 more rooms, perfect for private office or bedrooms. Large two car garage, is accessed through a private alley on South Lane. There is a lovely barn that would be great for a studio. Full unfinished basement with workshop area and lots of storage. Also available for sale, $1,135,000. Listed by Barbara Abram. 914-591-5600. This townhouse is conveniently located close to the pool and clubhouse. The main level offers a large living room, powder room, large kitchen and dining room with sliders to the deck overlooking Lake Meahagh. There are three bedrooms upstairs, full bath and laundry. There is also a basement storage unit. Heat is included in the common charges. This townhouse is just waiting for your personal touches. Being sold as is. Amenities include the pool, clubhouse, basketball court, playground and access to the lake. It is also close to the Public Library and both the Cortlandt Train & Croton-Harmon Train Stations. Listed by Eileen Gilroy. 914-762-0070.